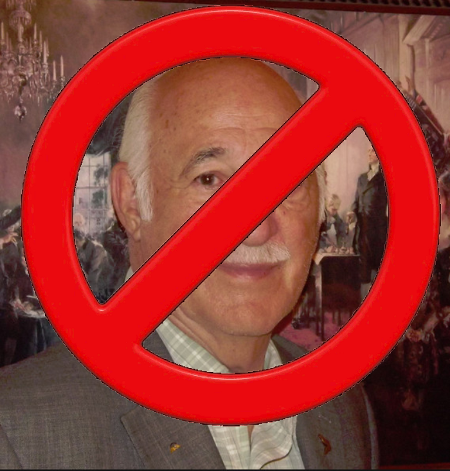 Just say no to Sam Cataldo. Our District 6 State Senator, Sam Cataldo, recently pledged to gridlock our government and begin to dismantle all we have built in New Hampshire in the past two years. Sam signed The Americans for Prosperity Taxpayer Pledge. The Pledge, supported by American's for Prosperity, one of the political arms of the Libertarian Koch Brothers Empire, commits its signers to concentrate on five things: 1. cut taxes, fees and oppose any increases; 2. cut spending and the size of government; 3. pass a right to work law in NH; 4. oppose the Affordable Care Act, and any healthcare reforms that would improve it, including Medicaid expansion; and 5. uphold the constitutions of the US and NH. Basically, Senator Cataldo has pledged to follow the libertarian values of his Koch Brother supporters, rather than represent his constituents by listening to them. This is a pledge that you essentially break when you sigh it. The fifth point in the pledge is to uphold the constitutions of the US and NH. Both compel representatives to represent their constituents, not special interests. By signing this pledge, Senator Cataldo has refused to uphold his constitutional duty to represent his people, because he will work diligently to remove all the protections our government has for working women and men. His pledge tells me that he will work against the wishes of my neighbors and friends in District 6. Rich Leonard is a kind and generous man, who sees the struggles of working class families everyday at his job. Rich personally knows the struggles that working families must endure. When his wife was fighting cancer and her job was terminated, she and Rich lost their health care. Trying to find insurance with a pre-existing condition was next to impossible. Rich did find health care through his employer, but Rich understands that this is not the circumstance for many people. Because he cares deeply for the people in his community and district, Rich is the kind of person I can trust to fight for our best interests, not the best interest of the libertarian anti-government Koch Brothers.